Dealer's Pick: the years may all be the same or vary. 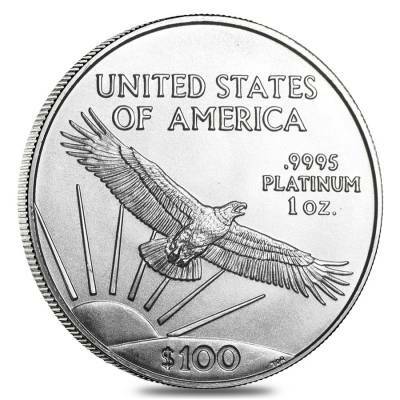 This 1 oz Platinum American Eagle (Random Year) makes a simple way to add platinum to your precious metals portfolio. 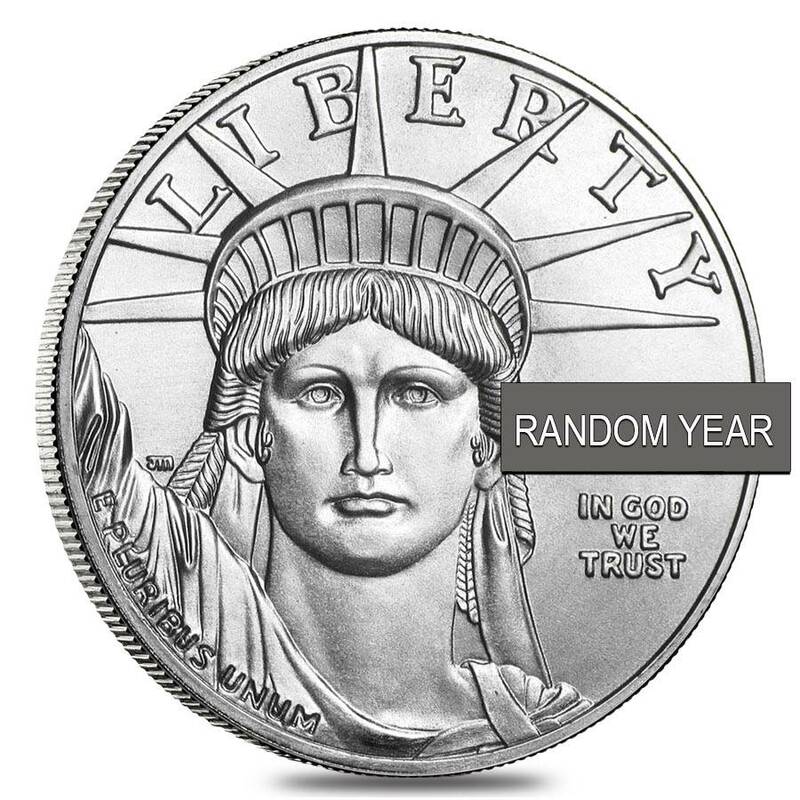 Each coin is made from 1 troy oz of .9995 fine platinum and the year will vary depending on our current inventory. The obverse features a portrait of the Statue of Liberty. Inscriptions include "LIBERTY," "IN GOD WE TRUST," "E PLURIBUS UNUM," and the year of mintage. The reverse will showcase the American Eagle along with the denomination, weight, and purity. With this purchase, you earn 967 Bullionaire Bucks 967 BB = $0.97. For every $1 spend, you will earn 1 Bullionaire Buck which is equivalent to $0.001 off a future purchase. 967 BB = $0.97.